With just 7 items, you can make this fun clock. 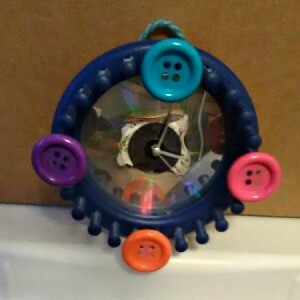 It's a great project for kids, with adults supervising the glue gun. Gather all your supplies. 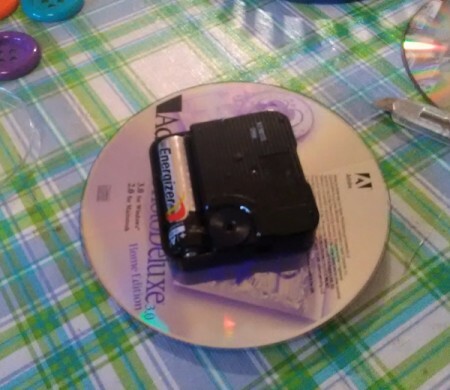 If your clock work is newer and you don't have to disassemble a clock, put a battery in and glue it to the back of the CD. 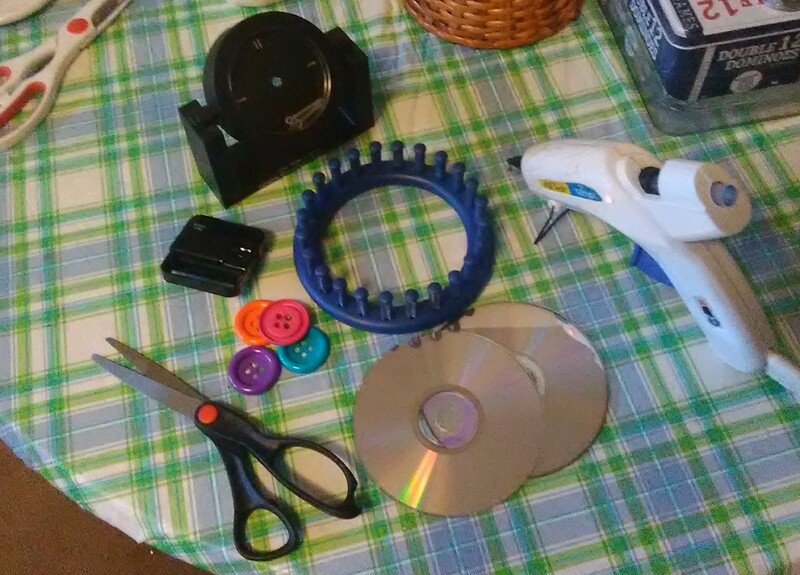 If it's in a clock, take it apart and reconstruct it once you have glued it to the CD. You will need to set the hands. 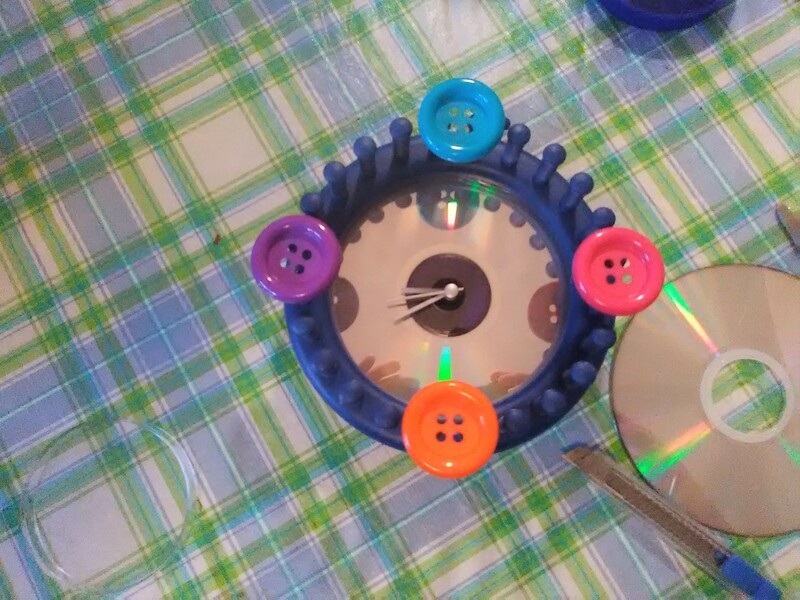 Put a thread of glue around the knitter, and centering the CD, place it on the back of the knitter with the clock facing you. Set your clock and determine where the 12 is going to be. 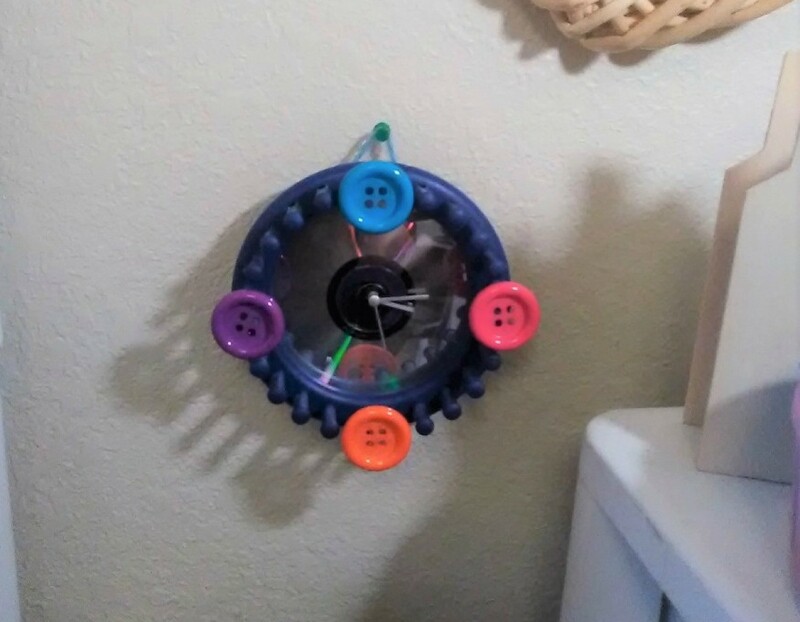 Place your first button on the two pegs at the top (you will need two pegs for this). Then glue it and the other three buttons to the 3, 6, and 9 pegs. 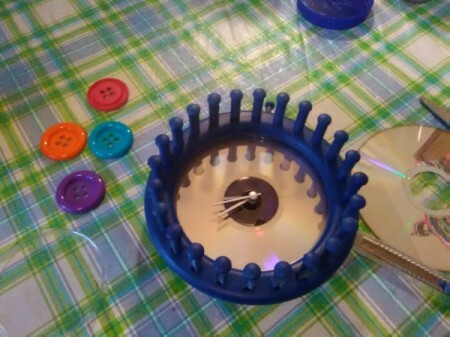 By having one that has 24 pegs, you will count off by 6. I am trying to learn a new phone so I apologize for the fuzzy photos. N-JOY! !